In the late 60s, the Ohio valley experienced a well publicized and documented UFO flap. By fall of 1967, the focus of attention would be on the modest riverfront city of Point Pleasant, West Virginia. Amidst the UFO flap, some residents of Point Pleasant claimed to see a 6-7 foot tall bird with large red eyes, the body of a man, and 10-15 foot wingspan. Local papers dubbed the creature “Mothman” while some of the townspeople simply referred to it as “the big bird”. Less publicized were reports of strange men in black suits (supposedly the infamous “Men in Black”) who were seen around the city issuing warnings and vague threats to some witnesses of the Mothman /UFOs. Supposedly, these witnesses were told by the “Men in Black” to keep quiet about what they had seen. The 13-month episode lasted from November of 1966 until December of 1967, and seemed to reach a climax when the Silver Bridge linking Ohio and West Virginia collapsed resulting in the deaths of 46 people. After the Silver Bridge tragedy, sightings of the UFOs and Mothman dissipated. In attempts to mentally integrate the succession of alleged bizarre happenings, some have cited the unusual history of Point Pleasant, WV as a possible origin of the supposed events. Point Pleasant does appear to have an unusually rich and fascinating history. In relation to the Mothman incident, particular historical attention is given to Chief Cornstalk of the Shawnee nation and the McClintic Wildlife Management Area. 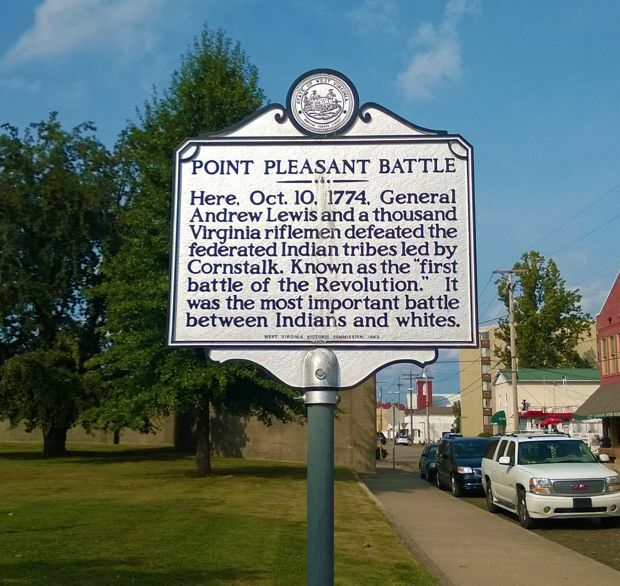 The Battle of Point Pleasant, or Battle of Kanawha, took place on October 10th, 1774. On a heavily forested area that would later become part of the city of Point Pleasant, a confederation of Native Americans lead by the Shawnee chief Cornstalk ambushed a group of 1,100 Virginia militiamen under the command of Colonel Andrew Lewis. At the time, Cornstalk was allied with the British, and the battle was apparently provoked by settler encroachment on Native American lands. The Battle of Point Pleasant is seen as an important event which preceded the Legend of the Mothman. Much of the battle consisted of bloody hand-to-hand combat which is said to have raged for hours. In the end, the Native Americans retreated after many of them were wounded and ~200-230 were killed. According to various sources, 50 to 81 Virginia militiamen had been killed and 140 wounded. 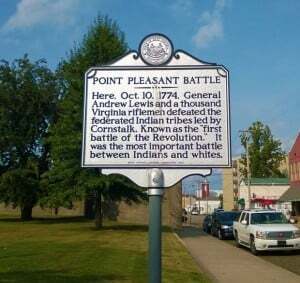 Although arguable, some consider the Battle of Point Pleasant to be one of the first conflicts of the American Revolution. Politics surrounding the battle seemed to have been at least partially responsible for a breakdown of alliances between the British and Native Americans. If the two forces had continued their alliance, the outcome of the American Revolution may have been different. Chief Cornstalk, who had survived the Battle of Point Pleasant, returned to the area with three other Native Americans (included his son, Elinipsico) in the fall of 1777. This journey was a diplomatic one in which Cornstalk was attempting to maintain peace, yet the entire envoy was apprehended and jailed within the local stockade. On November 10th, impassioned militiamen seeking revenge broke into the stockade and murdered Cornstalk, his son, and their two companions. The legend of the Mothman includes a connection to Chief Cornstalk. Local lore claims that the appearance of the Mothman, the collapse of the Silver Bridge, and other instances of Point Pleasant adversity can be traced back to a curse which Cornstalk pronounced on the area as he lay dying, yet there are no historical records which mention this curse. 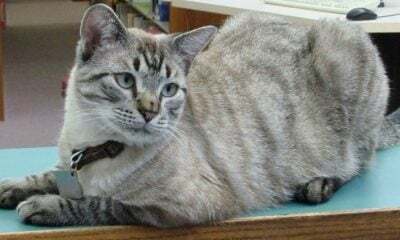 Many skeptics think that there would not have been time for Cornstalk to utter the curse, as it was reported that he had been shot multiple times. The origination of the “Curse of Cornstalk” urban legend is unknown. According to a segment of the Eyes of the Mothman documentary, interviewee John H. Sauer states that there was a play performed in the area in the early 1920s which mentioned the “Curse of Cornstalk”. It is possible that this is where the curse myth was introduced. During World War II, a large forested area six miles north of Point Pleasant was entrusted to the U.S. military to aid in the war effort. On this site, the military constructed a 8,320 acre complex called the West Virginia Ordinance Works which was devoted to the production of trinitrotoluene (TNT). Included in the construction of the complex were approximately 100 circular concrete bunkers (AKA “igloos”) which were used to store TNT and the chemicals used to make the explosives. These “igloo” bunkers were camouflaged and reinforced with steel to withstand potential aerial bombings. The West Virginia Ordinance Works was operational from 1942 until the end of the war in 1945. When the war ended, 2785 acres of the complex were converted into a wildlife preserve called the McClintic Wildlife Management Area. The rest of the complex, including the igloo bunkers, was leased out to companies for private storage purposes. McClintic Wildlife Management Area (called the “TNT area” by many locals) had become a popular hangout spot for young people by the 1960s. It was a somewhat isolated area where young adults cruised their cars, “parked”, and partied at night. Some families would also come to the area to camp, picnic, hunt, and fish a series of 26 man-made ponds. In the early 1980s, it was discovered that some of the igloo bunkers had been leaking toxic chemicals into nearby man-made fishing ponds. These igloos had apparently been filled with TNT or related chemicals during WWII and were promptly abandoned at the end of the war. 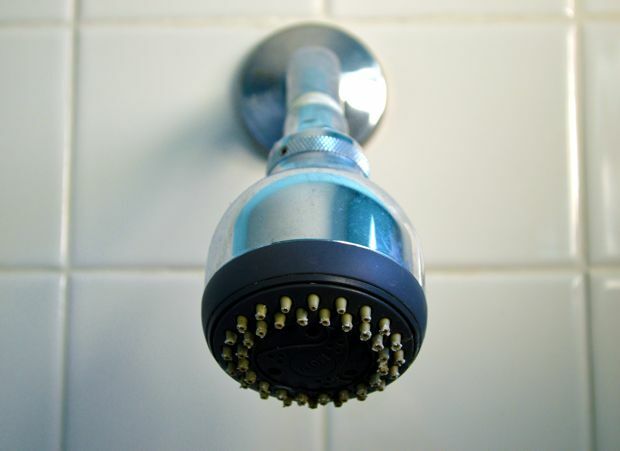 Through the 1980s and 1990s, the Environmental Protection Agency (EPA) made several attempts to clean up the area. On May 17th of 2010, one of the leased igloo bunkers containing 25,000 pounds of gunpowder exploded leaving behind a 225 foot debris field. The explosion resulted in the closure of some 305 acres of the McClintic Wildlife Management Area due to the possibility of other unstable materials. WSAZ News Channel 3 out of West Virginia featured a series of reports on the incident. UFO reports to local police and newspapers were far more numerous than Mothman sighting in 1966 and 1967. In fact, they were so abundant that they purportedly became common occurrences during both the day and night. These UFOs were seen by many people and were often reported in local and regional newspapers such as The Point Pleasant Register, the Herald-Dispatch (Huntington, WV), The Athens Messenger (Athens, OH), and the Gallipolis Daily Times (Gallipolis, OH). Many of these newspaper clippings are compiled in Mothman: The Facts Behind the Legend by Donnie Sergent Jr. & Jeff Wamsley. Reportedly, the UFOs seemed to be attracted to the Ohio river, local power plants, and the McClintic Wildlife Management Area. The UFOs also purportedly caused cars to stall and electronic interference in residential lights, radios, telephones, and televisions. The Ohio valley UFO flap soon attracted the attention of author and UFOlogist John Keel who was based out of New York City. In 1975, Keel’s writing on his experiences in Point Pleasant were published as The Mothman Prophecies. The book went on to become a New York Times bestseller, and was adapted into a 2002 movie starring Richard Gere, Debra Messing, and Laura Linney. Beginning in November of 1966 and stretching into December of 1967, the “Mothman” was regularly seen in the vicinity of the McClintic Wildlife Management Area by various residents of Point Pleasant. Similarly to the UFOs, sightings of the Mothman were reported to local police and featured in regional newspapers such as The Point Pleasant Register, The Fairmont Times (Fairmont, WV), The Athens Messenger (Athens, OH), and The Columbus Dispatch (Columbus, OH). One Mothman sighting was even reported in Pacific Stars & Stripes which is published by the U.S. Department of Defense. As with the UFO reports, many of these Mothman newspaper articles are collected together and presented in Mothman: The Facts Behind the Legend by Jeff Wamsley and Donnie Sergent Jr. 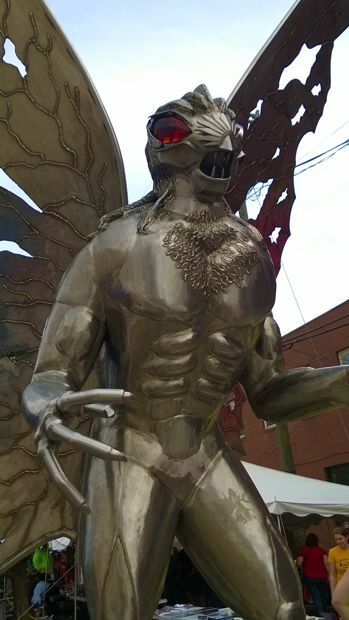 This statue represents a common depiction of the Mothman. Between 6 and 7 feet tall. Body of a muscular man. 10-15 foot wingspan. 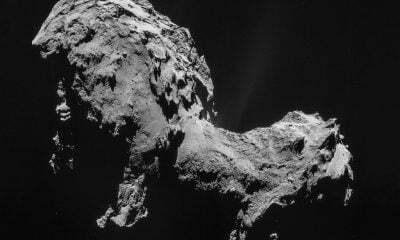 Several witnesses described the wings as looking like “angel’s wings.” Strangely, no one ever saw the wings flapping, but several accounts describe the sound of flapping wings. Several reports describe how the creature would spread its wings and fly straight up “like a helicopter” without flapping them. The creature was reportedly able to fly at speeds of up to 100 MPH. Multiple eyewitnesses claimed that it chased their cars. Disheveled greyish and brown feathering. Deep red eyes that were 2 inches in diameter and 6-8 inches apart. Many eyewitnesses claimed that the creature’s eyes were hypnotically mesmerizing and would glow red when struck by light. With the exception of the eyes, almost all of the witnesses did not get a good look at the Mothman’s face. Some witnesses described the creature as moving with an awkward, wobbling gait. 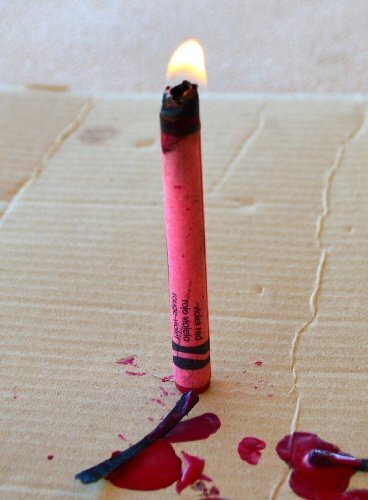 A few witnesses reported that the creature made a squeaking or squealing sounds. 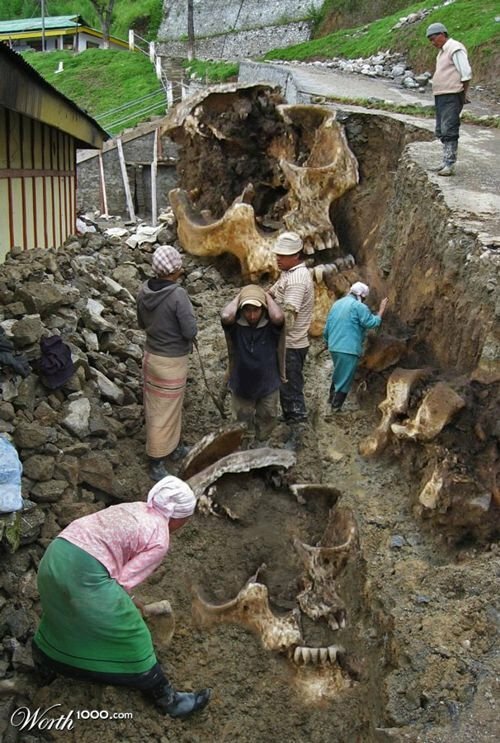 In several areas that the creature was seen, it was reported that large horse-like hoof prints were discovered. According to Keel’s The Mothman Prophecies and the Eyes of the Mothman documentary, several eyewitnesses of the Mothman/UFOs experienced conjunctivitis and radiation burns on their bodies. Many Mothman witnesses are said to have experienced psychological shock and trauma. In an interview with Jeff Wamsley for Mothman… Behind the Red Eyes, eyewitness Faye Dewitt (Faye Leport in the Eyes of the Mothman documentary) claims to have gotten a good look at Mothman’s face. She describes it as a wrinkled-up face with a rounded nose. In addition, she claims to have seen the Mothman jump to a height of approximately 3-4 stories without using its wings. It is not known exactly how many people experienced Mothman sightings, but estimates linger in the hundreds based on documented newspaper clippings. Lifelong Area resident Jeff Wamsley, author of Mothman… Behind the Red Eyes and co-author of Mothman: The Facts Behind the Legend, endorses an “iceberg theory” which speculates that the majority of Mothman sightings went unreported due to fears of ridicule. Shortly after the first Mothman sightings were reported in November of 1966, odd men in black suits, hats, and sunglasses were reportedly seen by some townspeople around Point Pleasant. These men stuck out in the small town, and some Mothman/UFO witnesses and newspaper reporters received visits from them in which they were warned not to talk about and/or report what they had seen. Traditionally described as wearing black suits, hats, and sunglasses. 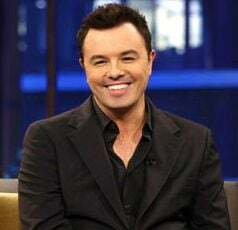 However, John Keel describes them as wearing a variety of different outfits. Traveled in what appeared to be brand new late model cars… often black Cadillacs. Olive complected with Asian features (similar to Korean according to John Keel). Seemed unfamiliar with common objects and customs (like hand shaking, ink pens, and eating utensils). Spoke in rapid singsong voices and often asked unintelligible questions. 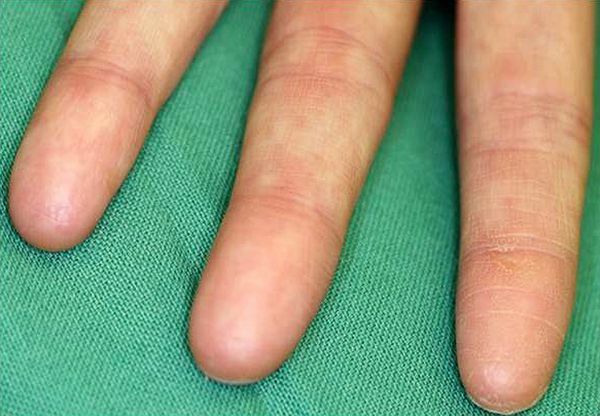 Had somewhat translucent skin in which veins could be seen. Many people who were visited by the Men in Black observed that there was something strange about their eyes. John Keel described them as having bulging “thyroid eyes”, a probable reference to the bulging eyes that occur with Graves’ Disease. John Keel and several witnesses claimed that the Men in Black often had unusually thick soles on their shoes. Several reports of the Men in Black describe them as appearing to be out of breath, and their physical movements as appearing to be disoriented and/or drunken. For years, urban legends have circulated about Men in Black showing up after UFO sightings to intimidate witnesses. If they truly exist, they may be U.S. government agents or foreign government agents. 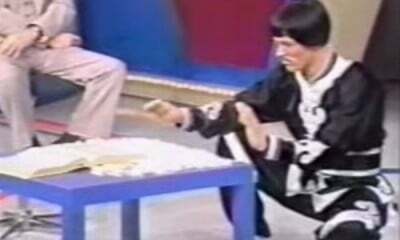 More outrageous speculators have claimed they are time travelers, extraterrestrials, or paranormal beings. Built in 1928, the Silver Bridge was a two-lane eyebar suspension bridge which spanned the Ohio River and connected Ohio roadways to Point Pleasant, West Virginia. At about 5:00pm on December 15, 1967, the Silver Bridge collapsed. Apparently, a traffic light in Point Pleasant controlling movement across the bridge had gone out which resulted in bumper-to-bumber transit across the bridge just prior to the collapse. Of the 37 vehicles on the bridge, 31 fell into the river below. 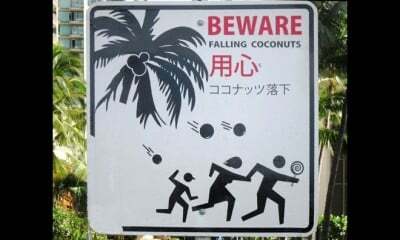 Only 5 people were rescued from the waters. 46 people died and 9 were severely injured. Investigators retrieved the pieces of the fallen bridge and reassembled it in a nearby field. They concluded that the bridge had collapsed due to a crack in one of the eyebars. After the bridge collapse, unusual sightings in the area seemed to cease. Some residents of Point Pleasant felt there was a connection between the collapse of the Silver Bridge and the appearance of the UFOs, Mothman, and the Men in Black. Some were also suspicious of the government investigation, as there were some witnesses that claimed to see the Mothman flying near, or sitting on, the bridge at the time of the collapse. Many Point Pleasant residents also claim to have heard a perplexing sonic boom just before the bridge collapsed. Could this have been the sound of the eye-bar snapping? Others had claimed to see the Men in Black inspecting sections of the bridge in the days leading up to the collapse. Over the years, believers in Mothman have offered wild speculations on where the creature came from and what it actually was. These speculations have included angel, demon, inter-dimensional/paranormal being, extraterrestrial, robotic machine, surviving prehistoric pterosaur, a bird that mutated from the toxic chemicals at the McClintic Wildlife Management Area, etc… The conjecture goes on and on. Sandhill Crane – At the time, an associate professor of biology from West Virginia University, Dr. Robert Smith, suggested that the Mothman may have actually been a wayward migrating sandhill crane. Sandhill cranes be can be up to 4 feet tall with a 7 foot wingspan. They also have a red patch on their foreheads between their eyes. Many of the Mothman eyewitnesses, however, were insulted by the suggestion that what they saw was a crane. Snowy Owl – In December of 1966, a farmer in nearby Gallipolis Ferry shot and killed a large snowy owl. The owl was reported to be 2 feet tall with a 5 foot wingspan. Several local papers reported on the story in relation to the Mothman narrative. Rare Vulture – In August of 1967, a newspaper reported that a “rare South American vulture” was found in a cave near New Haven, WV. The bird had a 5-6 foot wingspan. Experimental Balloons – Several newspaper reports from 1966 relay the story of a Fairland High School project in which a series of large balloons (4×7 feet) were filled with natural gas and released to study air currents. It has been said that these balloons could have been mistaken for Mothman or UFO’s. In fall of 2002, Point Pleasant held the first annual Mothman Festival. The festival was founded by author Jeff Wamsley and Carolin Harris, owner of Point Pleasant’s Harris’ Steak House. According to the festival’s website, it currently attracts over 4,000 people each year, and continues to grow annually. On September 20th of 2014, I attended the 13th annual Mothman Festival on behalf of Wafflesatnoon.com. Some may find the concept to be silly, but the Mothman Festival can be enjoyed by those who take the legend seriously, or by those who don’t. Point Pleasant is a very nice town with a quaint atmosphere. There were people of all ages there, including a curious combination of mainstream and fringe cultures. A street was blocked off in downtown Point Pleasant with a portable zip-line, a rock climbing setup, and a DJ. Several times, I recognized Mothman eyewitnesses freely mingling with guests and relaying their accounts. 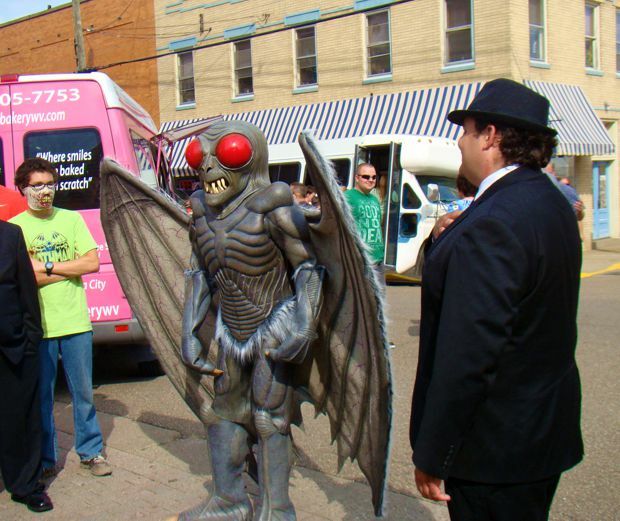 Attendees at the 2014 Mothman Festival dressed as the Mothman and Men in Black. McClintic Wildlife Management Area – When I first got into town, this is the first place I visited. It is located about 5-6 miles north of Point Pleasant off route 62. Even with some vague directions, I found it difficult to find, and it is probably best to stop in town and ask for directions. I eventually found the preserve and drove through part of it. In the part that I was in, there were narrow gravel roads through thick forest. There were a lot of “no trespassing” signs posted right off the gravel roads. I was trying to find the igloos and/or any Mothman related landmarks, but I gave up and returned to the festival after about half an hour. Unless you’ve been there before or have really good directions, it seemed like the kind of place where you could easily get lost. At the Mothman Festival, you can purchase tickets for a twilight hayride through the “TNT area”. Tu-Endi-Wei State Park – On a riverfront corner of Point Pleasant is the Tu-Endi-Wei State Park. Tu-endi-wei is said to mean “the point between two waters” in Wyandotte, and is the site of The Battle of Point Pleasant. 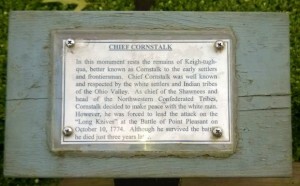 There is a large obelisk which commemorates the battle in the park, and a small monument dedicated to Chief Cornstalk. 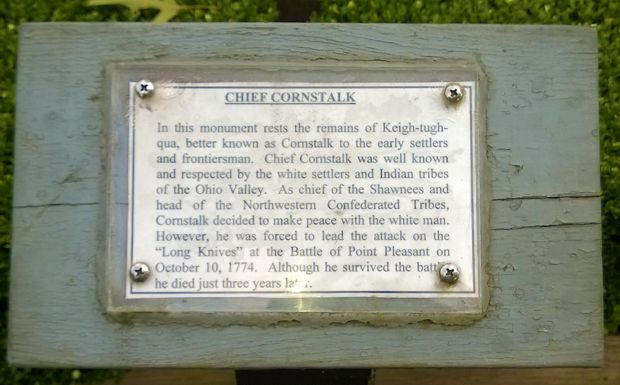 According to the plaque on the monument, Chief Cornstalk’s remains are actually within the monument. There is also a small museum called the Mansion House Museum on the site. Along the riverfront are a series of stainless steel statues and colorful murals depicting the battle. Oshel Craigo Amphitheater – There is a very nice 800-seat amphitheater looking out over the Ohio River. For the festival, A lineup of bands played all day long. Most of the bands appeared to be of the metal-genre, but I only sat down and watched a couple bands, so I could be wrong. Whoever was running sound did a great job. Gunn Park – There is a small park in town called Gunn Park which has a large stainless steel statute of Mothman. During the Mothman Festival, the statute is surrounded by vendors selling Mothman memorabilia. Movie Theater – During the Mothman Festival, there was a lineup of guest speakers in the movie theater. In 2014 the list of speakers included Mothman eyewitness Faye DeWitt, author Nick Redfern, and UFOlogist Stan Gordon. Mothman Museum – $3 admission. Mostly contained original newspaper clippings about the Mothman/UFOs and props from the Mothman Prophecies movie. It was kind of small and very crowded during the festival. On Saturdays, the museum offers Mothman bus tours which goes through the “TNT area” for an additional fee. Silver Bridge Memorial – At the site where the Silver Bridge once was, there is a small memorial shrine to the 46 people that lost their lives when the bridge collapsed. Iron Gate Grill – Although there were food vendors all over the festival, it was nice to have a meal and sit down. This place has a very nice atmosphere. There was a wait, they were understaffed, and the food was somewhat expensive, but the food was very good. Harris’ Steak House – I’ve heard good things about the Harris’ Steak House. It was opened in 1969 by Carolin Harris (co-founder of the Mothman Festival) and was replicated for scenes in the Mothman Prophecies movie. The Turtleman – There was a long line of autograph seekers waiting to meet “the Turtleman”, star of Animal Planet’s Call of the Wildman. 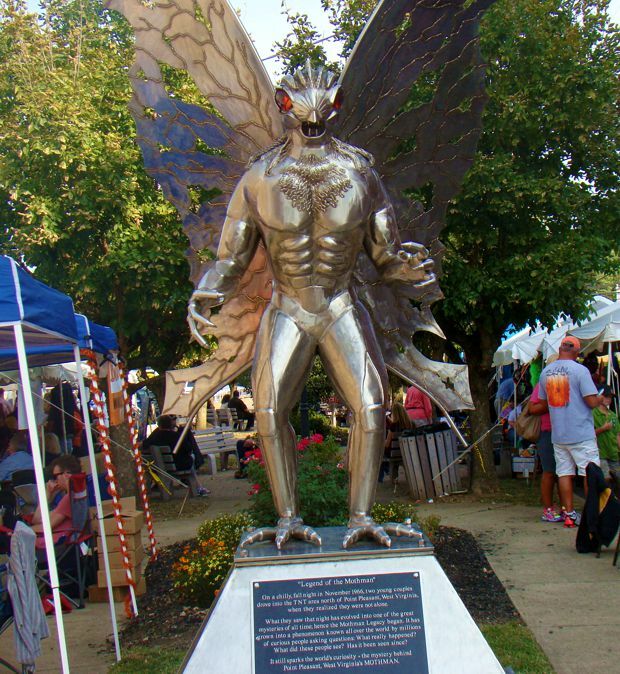 The Mothman statue is a centerpiece of the Mothman Festival. Despite all that I saw that day, I still didn’t see everything, including the Miss Mothman Festival Pageant and the Mothman 5K run. In town, there is also the Point Pleasant River Museum and tours of the Historic Lowe Hotel. Overall, it was a neat experience, and I’d like to go back at some point. Eyes of the Mothman – This is a very well done documentary from 2011 by Mathew J. Pellowski. At two and a half hours, it is a fairly comprehensive analysis of the Mothman legend. It is currently available to stream on Netflix. Mothman Prophecies – UFOlogist John Keel’s 1975 bestseller about his experiences in Point Pleasant. There are a few pages devoted to the Mothman, but it mostly deals with UFO sightings and the Men in Black (Keel invented the term “Men in Black”). In my opinion, the book is way better than the movie. Mothman: The Facts Behind the Legend – 2002 book by area residents Donnie Sergent Jr. and Jeff Wamlsey. Contains a brief history of Point Pleasant and a lengthy interview with Mothman eyewitness Linda Scarberry. Also includes the eyewitness testimony of the first four Mothman witnesses. Almost 60 pages of the 163 page book are various newspaper clippings of Mothman/UFO reports. The last part of the book contains several copies of letters from John Keel to Linda Scarberry and her family. Mothman… Behind the Red Eyes – 2005 by Jeff Wamsley. This 160 page book contains a succession of interviews with various Mothman/UFO witnesses. It also contains a number of newspaper clippings, some of which were not included in the book he co-authored with Donnie Sergent Jr. In the late 60s, many residents of Point Pleasant, WV reported seeing UFOs and a large bird-man creature which came to be known as “Mothman”. 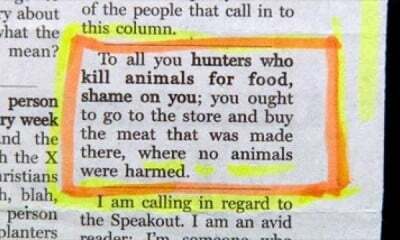 Some of the sightings were documented in area newspapers. Skeptics feel that the Mothman was actually a large bird such as a sandhill crane. 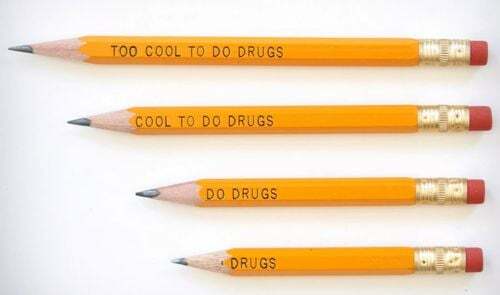 The real truth about what happened will probably never be known. Since 2002, the city of Point Pleasant has hosted an annual Mothman Festival which draws thousands of people.